OlyBLOG is for businesses across Canada, especially in Vancouver / Whistler and throughout B.C. We also hope companies in Alberta and United States (i.e. Washington, Oregon, Idaho, Montana and California) will find OlyBLOG interesting and informative. New information is available regarding opportunities in Olympic regions that is applicable to all people and all companies. The information will break molds for everyone, but is of value primarily to only the most progressive and competitive. In other words, if you're an average company, with average aspirations, this new information probably won't help you much unless you are prepared to think differently. But, if you have a stronger than average will to succeed this is exactly the information you need to give your company an advantage over lazy competitors. 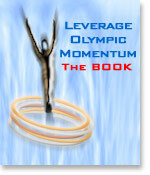 It addresses how to leverage Olympic momentum and how small and midsize businesses can profit from opportunities in Olympic regions, regardless of whether they have products or services that can be consumed directly by Olympic organizations and spectators ... or not. If you want to profit you have to learn to think differently. Contrary to popular belief, it's easier to provide a product or service to Olympic organizations than it is to profit from the relationship. It may not be apparent to you yet, but Olympic organizations want you to feel guilty about profiting. Don't feel guilty. They work very hard to appeal to your sense of community. Ironically though they are no longer the socially responsible enterprises they used to be. They now leave many communities in financial upheaval and with overwhelming debt while sponsor companies like Bell, RBC, Hudson Bay and NBC make incredible profits. If you have to pay for it you should profit from it too. They don't see it that way, but you should. The biggest mold to break is the romantic perception most people still have of the Olympics. Everything changes, including the Olympics, but they would like you to continue thinking of them in historical, warm and fuzzy old-fashioned terms. Olympic organizations would like you to regard them the same way you did when you were a child. It is time to grow up. The Olympics is not what it was when you were a kid. Today they are profit-oriented BIG BOX corporate machines. Olympic organizations look after themselves first and have only marginal regard for the host community. If they had true respect for the host community they would not have allowed Greece to fall 15 billion U.S. dollars into debt in 2004. Did you also know that 14 people died in Greece building Olympic venues and another 26 died building transportation and infrastructure bringing the total death count for the 2004 Games to 40 workers? It is the highest number of construction deaths in modern history for all Olympics. Due to Olympic organization mismanagement construction workers were forced to work incredibly long shifts in blistering heat. When you're tired, accidents happen. Most workers had no hard hats or safety boots and when workers complained they were fired. Protests by thousands of workers during construction were relatively unreported by media. Greek Olympic Committee President Lampis Nikolaou admitted that the death toll in Athens was too high. George Tsakiris, who owns three hotels in Athens, states that he and other hoteliers spent 1.5 billion ($2.67 billion) to renovate and supply rooms with new furniture, televisions and internet connections hoping that last year's Olympic Games would increase tourism. The Greek Government spent 10 billion on a new airport, subway and rail system and venues to prepare for the Games. A survey by consulting firm JBR Hellas found hotel occupancy plunged 7 per cent in the fourth quarter to 57 per cent, the lowest among 11 of Europe's biggest cities. The Association of Greek Tourist Enterprises reported that the number of visitors to Greece fell 3 per cent last year (2004), a blow to a nation that relies on spending by tourists for about 6 per cent of its gross domestic product. Is this how Olympic organizations show respect for host communities? If Olympic organizations had respect for the community they would also manage IOC officials and athletes more responsibly regarding fraud, corruption, bribery and doping. They would also pass legacy information along between host cities more efficiently to make sure mistakes are not repeated. It's not a coincidence that the Olympics are often hosted concurrently in cities that speak different languages. Language barriers make it difficult for cities to pass information forward to the next Games. It's a good way to obscure corruption. Interestingly though, the internet is leveling the playing field in this respect. Get online and poke around a bit. You'll be surprised at what you find. Don't feel guilty about profiting from the Olympics, because they don't feel guilty about profiting from you. The Olympics is no longer a “sports-centric” enterprise. It is "profit-centric" entertainment wrapped in incredible spectacle. The Olympics is also no longer the podium for international peace it was originally designed to be. Sponsors and their greedy shareholders let that ideology slip away years ago. The Olympics is also no longer about athletes competing against each other. It's now a competition to see which country can collect the most gold medals and boast to the world that they are superior. Own the Podium? How about "Own Your Home or Grow Your Business!!" The Olympics no longer revolves around humanitarian development, it is about profit. And the hardest thing to accept is that top-ranking Olympic athletes are not the pure-as-the-driven-snow competitors many gullible sport fans make them out to be. Unfortunately, too many Olympic athletes today are driven primarily by profit. Gold medals are worth millions and millions of dollars that many athletes will do anything to win. They prove it every day by pumping their bodies up with steroids, and now some even experiment with genetic manipulation. Genetic manipulation as in "Dolly the Sheep body sculpting!" -- which by the way is almost impossible to detect. Doping and cheating are rampant on Olympic sport, but don't put all the blame on the athletes, because much of the pressure comes from the coaches and trainers who work closely with Olympic organizations. Enough said, do your own research. Regarding small and midsize businesses in Olympic regions, it's OK to let your competitors continue to regard the Olympics in traditional ways, because the less they know about what is really going on the better it is for companies that want to think differently. It is virtually impossible to effect change across the powerful Olympic enterprise. If you want to profit from the Olympics, it is YOU who must change ... not them. No one, except Olympic organizations can change the way the Olympics is managed ... or more accurately mismanaged. That's a gargantuan job beyond the scope of anyone on the outside, and in fact it may be an impossible task for anyone inside the organization too. But hopefully Olympic leaders will proactively make positive changes. Unfortunately you can't count on it happening any time soon. The best you can do is try to expand your understanding and perception of how Olympic organizations operate. Want to advertise on OlyBLOG? BIG BUSINESS MACHINES that attract corporations like Kodak, CocaCola, McDonald's, Wal*Mart, etc. Consequently, VANOC (Vancouver Organizing Committee) will be stretched thin trying to also develop ways to assist small and midsize businesses leverage Olympic momentum. Surprisingly, many people don't realize the event can also be lucrative for smaller businesses including agriculture, manufacturers, entertainment, technology, retail & obviously tourism, even when they don't have products or services that appeal to Olympic fans or serve a direct Olympic need. 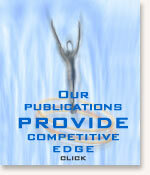 The information we share here is invaluable in helping small and midsize businesses leverage Olympic momentum. Interested in booking a speaking engagement? Advertise on OlyBLOG?